The best earbuds you can buy right now. 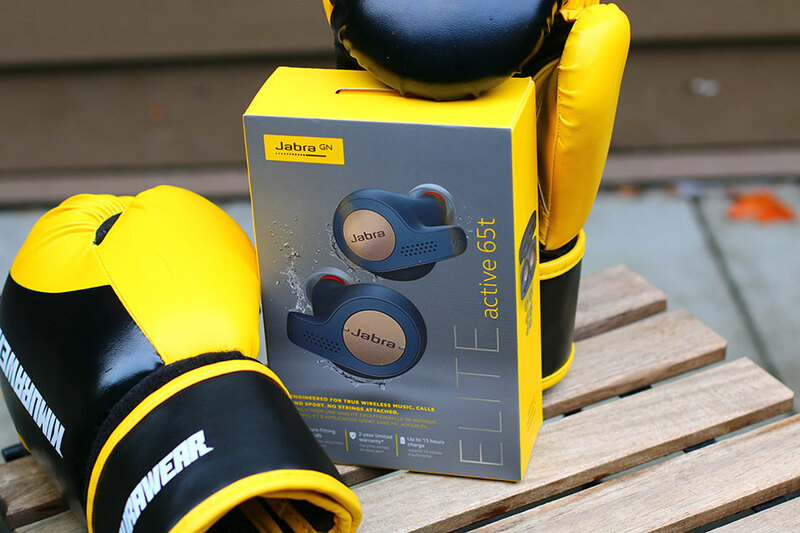 Spoiler alert: we think the Jabra Elite Active 65t are best earbuds currently available. They aren't perfect, but they do so many things so well that it would be crazy to put anything else above them. In this review, we break down the sound, design, comfort and fit, packaging and accessories, specs and more of the Jabra Elite Active 65t. To how they stack up, check out our list of the best earbuds. 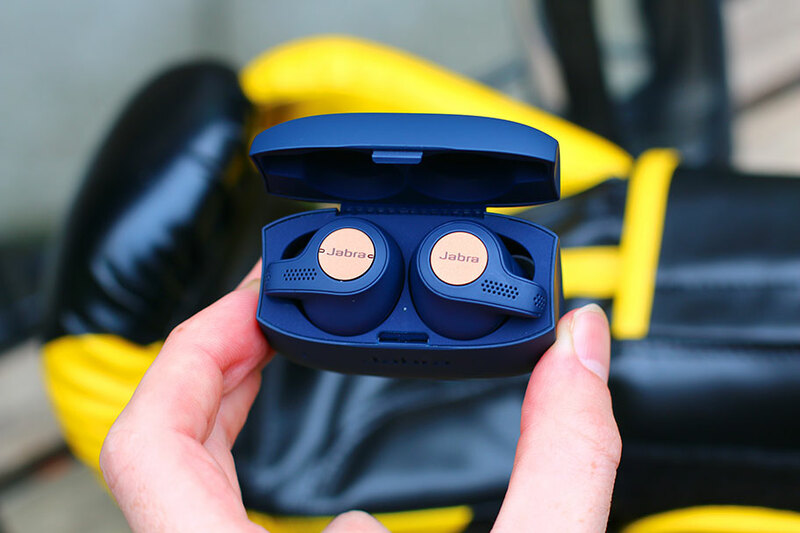 The Jabra Elite Active 65t are true wireless earbuds, which means there are no wires whatsoever to connect the segments that fit in your ear. They connect via Bluetooth, and as we will discuss in more detail below, are supremely convenient. For now, we want to talk about the sound quality. In particular, we'd like to talk about the bass. It's not that the bass outstanding - it didn't blow our minds - but it was far better than the price tag would suggest. No matter what genre we put through them, the 65t earbuds presented a low-end that was tight, compact, and muscular, without being fatiguing. It never felt like we'd sacrificed bass response by choosing to listen to these over say, a pair of traditional over-ear headphones at a similar price. Once we got the fit sorted out – something else we will talk about below – the low-end really surprised us. It was far better than many of its competitors, including the Apple Airpods (full review here). Those cost $159 to the Jabra's $188, but that doesn't account for the fact that they offer much weaker bass. Once you've got a good fit with the Jabras, you'll be very happy with their performance. Fortunately, the rest of the frequency spectrum isn't neglected. While there wasn't the level of detail that other leading earbuds like the 1More Triple Driver In-Ear would offer, the Jabras' treatment of elements like vocals, snares, and acoustic guitars felt even and natural. We particularly appreciated the vocals, which always came to us with an addictive level of richness. Combine that with the superb bass response, and you're looking at a pair of earbuds that are excellent for EDM, R&B, and pop. Admittedly, they don't have the audio quality of something like the Bose Soundsport Free. Those true wireless earbuds are slightly more expensive than the Jabras, at $199, and offer genuinely brilliant sound. Compared to them, the Jabras were good, but not fantastic, delivering competence where the Bose earbuds truly excelled. There are serious differences between them in terms of functionality – as we shall see, the Jabras are easier to use, and much more fun. But if you want a pair of true wireless earbuds and aren't prepared to sacrifice sound quality, then you should go for the Bose. Until audiophile giants like Sennheiser release their own forthcoming true wireless earbuds, the Bose are the best for sound. However, that's not to say that the Jabras underperform. For this price, the sound quality is very good indeed, and it's definitely in the top-three true wireless earbuds currently available. 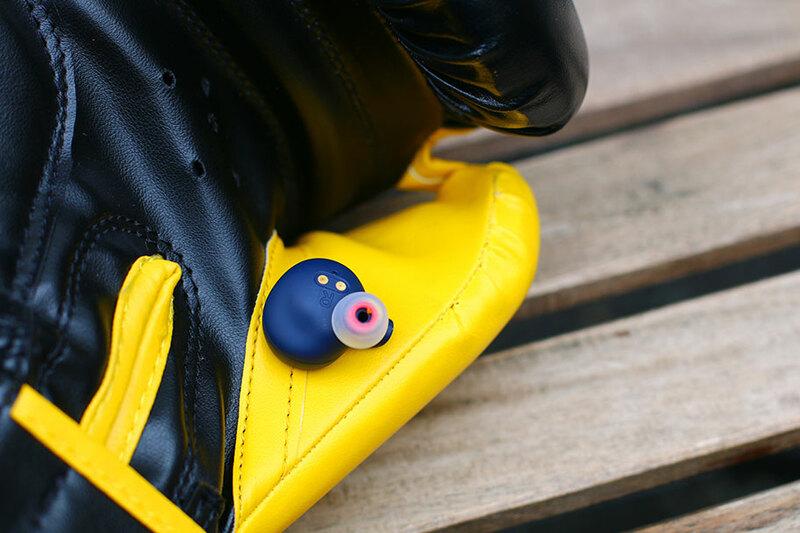 (You can see how they stack up in our list of this year's best earbuds). Besides, you could make an argument that sound quality is almost beside the point here – the Jabras have so much else going on that the company could quite happily have settled for less. As it is, it remains a genuinely pleasant surprise that a pair of fitness earbuds could sound this competent. 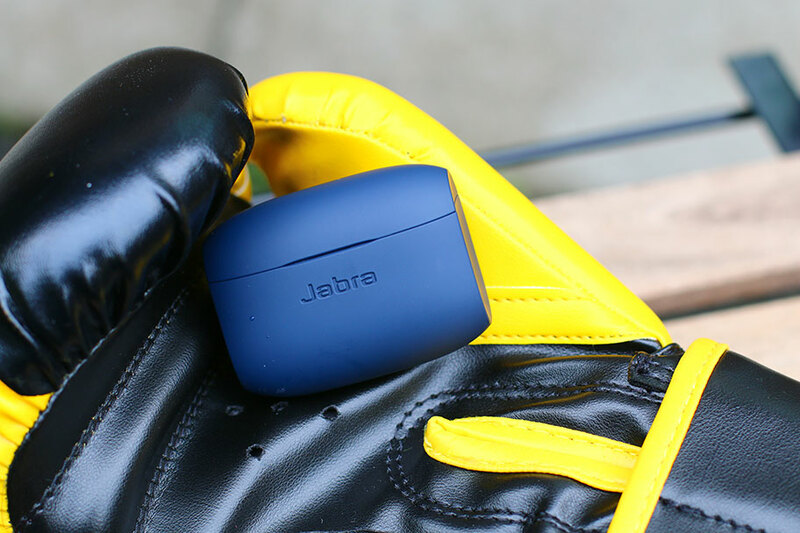 The Jabra Elite Active 65t earbuds have a couple of nifty tricks up their sleeve. They offer something called HearThrough Mode, accessible via the app. This is similar to the features you'll find on leading headphones like the Sony WH-1000XM3 (full review here), which allow you to listen to what's going on around you without removing the headphones. The difference is that here, you'll still be able to listen to the music - unlike the Sony headphones, the songs don't pause when you activate this mode. The earbuds mix in audio from the outside world with your tunes, making it easy to hear traffic, subway announcements, and the like. You have no idea how useful this is until you actually try it. There's also a less-useful-but-still-handy Focus Mode, which plays pre-recorded ambience. You can choose a mixture of nature sounds like waves, rain, storms and streams, to the dripping of water in a cavern, or simple white noise. This is not only useful for working, but occasionally useful for sleeping. It's another example of the thought that has gone into the creation of these earbuds – something that we didn't expect, and were pleasantly surprised to find. There is also access to a full range of assistants, including Google Assistant, Amazon Alexa, and Apple Siri. You can read more about the differences between those here. Several other headphones make a point of supporting a specific assistant - we're thinking specifically of the Bose QuietComfort35 IIs (full review here), which have Google Assistant accessible via a dedicated button. Bose have recently added Alexa, too. The Jabras, however, are entirely agnostic, letting you use whatever assistant you have setup on your phone. Bluetooth tech has come on in leaps and bounds, and the Jabra Elite Active 65t offer Bluetooth 5.0. At the time of writing, this is the best method of Bluetooth transmission currently available, better than even aptX. We had an absolutely faultless performance from our earbuds. Pairing them was the work of moments, and even when walking around, leaving our phone behind, we didn't experience any drops until we got to about forty feet. 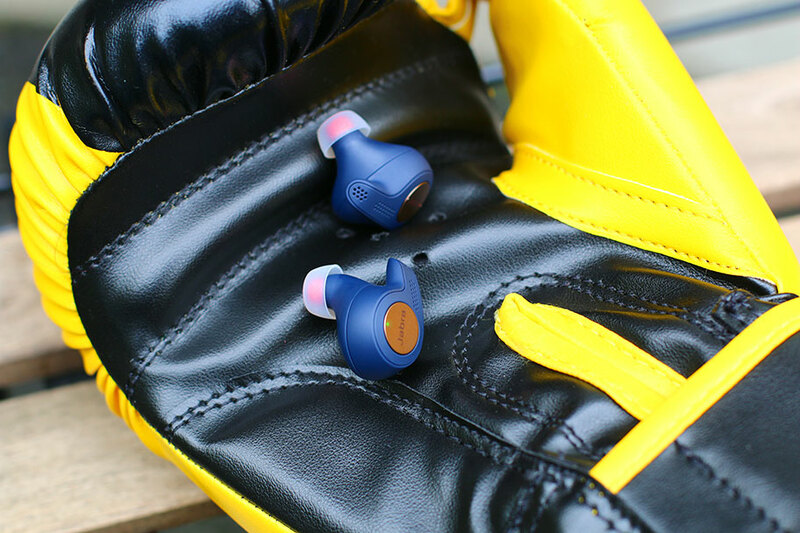 Compare them to super-popular Jaybird Run, which only has Bluetooth 4.1. While the Runs are cheaper, at $152, there's no question how much of a leap forward the Jabras are. 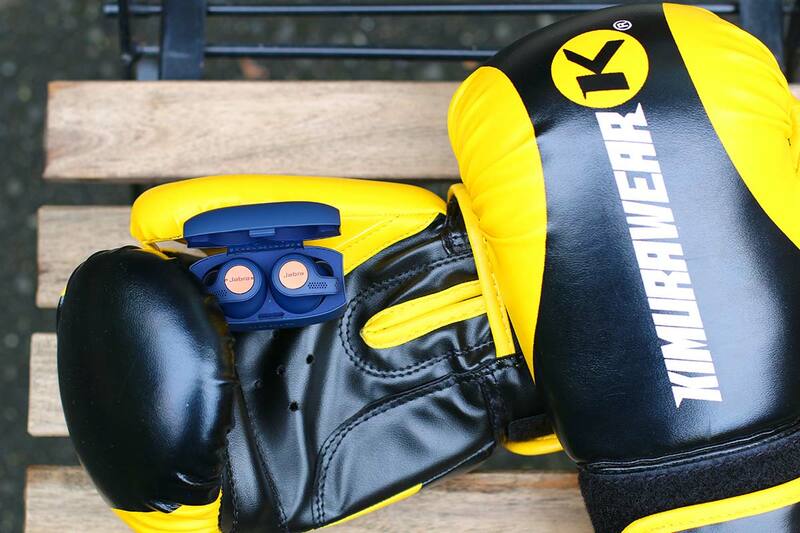 There is a very good reason why true wireless earbuds are marketed for workouts. With no wires, they are by far the most convenient method. However, at TMS, we have a slightly unpopular opinion. 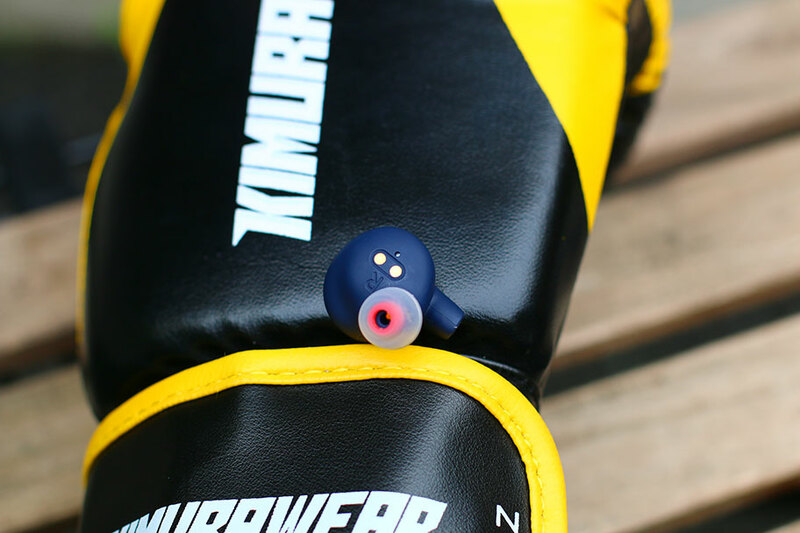 We think that, while true wireless earbuds are great for gym, they aren't so great for long-distance running. If one should happen to slip out, there's no wire to keep it in place. 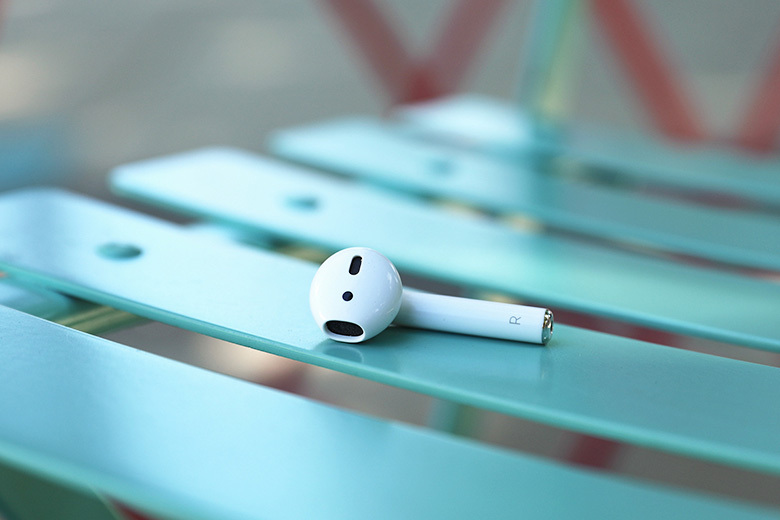 And lost earbuds are expensive – a single lost Apple Airpod will set you back $49. We tested the Jabras in a variety of active situations, ranging from runs to heavy gym sessions. While they aren't going to change our point of view completely, we were satisfied with how they performed in both. We never felt like they were about to go flying, no matter what movement we were doing - we will elaborate on this in the section on comfort and fit, below. 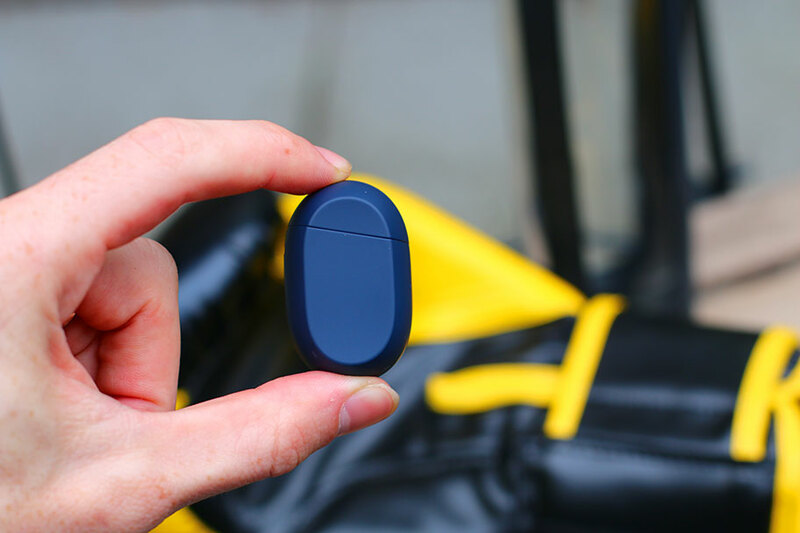 We still felt a little bit nervous while taking an afternoon run, as we really didn't want a loan earbud bouncing into traffic. If you are looking for a pair of earbuds for running, we strongly recommend you get the $110 Jaybird X4 Sport. They may be traditional wireless earbuds, with the cable connecting both sides, but they are unlikely to get crushed by a car. Admittedly, the Jabras aren't much to look at. They are small, bulbous little blobs of plastic, available in both black and blue. Thanks to the tiny antennae dotted with microphone vents, it's relatively easy to tell which is left and which is right. If you can't, there are subtle embossed indicators on the inside. We can't say we are particularly enamoured with the look, but it does the job well enough – even if the buds tend to stick out a little bit from the ears. For $188, it would have been nice to see a little metal here. Another issue we had was with the controls. On the right earbud, there's a single button, designed to handle playing and pausing music, as well as answering calls. On the left earbud, there's a rocker switch, which takes care of volume and track skips. We found this switch annoying to use. It always felt like it required quite a bit more pressure than it should have, and felt fiddly. This isn't a problem on other true wireless earbuds we've tested, like the Master & Dynamic MW07 (full review here). Those may be significantly more pricey, at $300, but they do a much better job with the controls. We managed to squeeze around four-and-a-half hours of charge out of the earbuds before they needed to be slotted back into their charging case. That's comparable to most other wireless earbuds available – the aforementioned Bose Soundsport Free offer around four hours, while the Apple Airpods offer five. Like those models, you can charge up the carry case itself, and use it to charge the earbuds for additional listening sessions. That gives you about 15 hours listening, total - although calls drained our battery faster than music. We appreciated how quickly the charging case was able to give us battery life; fifteen minutes in the case gave us one-and-a-half hours of battery. However, we did find at least one serious flaw with the case. Unlike the Apple Airpods (full review here), the earbuds do not magnetically snap into place. There are neat slots for them, but we found that it was way too easy for them to pop out of the case. We also couldn't believe just how much of a pain in the backside it was to actually open the case itself. It always required a little bit of levering, and rapidly became tiresome. These earbuds get so many things right, and it's a shame to see Jabra fumble it with a simple case design. Any decent pair of true wireless earbuds needs to have a good app to go with them, and the Elite Active 65t certainly do. Jabra's app – available for both iOS and Android – is gorgeous and responsive, putting everything exactly where we expected to be. It lets you control not only the HearThrough and Focus modes, but also apply EQ, gives you an idea of battery life, and lets you handle multiple devices. It even has a digital copy of the user manual if you need it. It's an almost flawless experience, and proves once again just how much thought the company has put into their product. There's even an Activity tab, with a step counter. It works well enough - although we'd recommend the company's earlier Active 65t model for professional training. They have a VO2 monitor and heart rate monitor, making them the superior choice. They are also a little cheaper, at $152. As mentioned previously, we are always a little worried with true wireless earbuds, as they have a tendency to disconnect from the ear and get lost. Fortunately, that's not an issue here. To insert the earbuds, you place them in the ear so that the microphone stalks are pointing downwards, and then turn them counterclockwise in a screwing motion. Yes, we know it sounds weird, but it genuinely works, effectively locking the buds into your ear. They wouldn't come out, no matter what we were doing. That's a very good thing. The Apple Airpods on the other hand? The slightest head movement, and it's goodbye. However, we did find that over very long periods – five to six hours – we encountered competitions. This would probably have been alleviated if the Jabras had shipped with a few more tips. You get exactly – wait for it – two extra tip sizes. That means that if you're not comfortable with small, medium, or large, you may be out of luck. It's not a deal breaker – we found the fit was good enough that it didn't bother us too much. But when companies like Optoma regularly provide a good range of tip sizes, as they did with their $120 Optoma NuForce BE Free8 true wireless buds, it's a pity that Jabra didn't go the extra mile here - especially since the original Elite Sport came with a huge number of different tips. The packaging, predictably, is simple and effective. The yellow and grey color scheme looks surprisingly good, and the box slides apart without too much trouble, revealing the earbuds. They don't actually arrive stored in the case itself, which is probably because the case is annoying to open. But overall, the experience is a good one. As accessories, you get the aforementioned two additional tip sizes, and a short USB charging cable for the case. Nothing that we didn't expect to see. The Jabra Elite Active 65t have excellent sound quality, with rich bass and vocals. The earbuds are a joy to use, with good battery life and a terrific app. 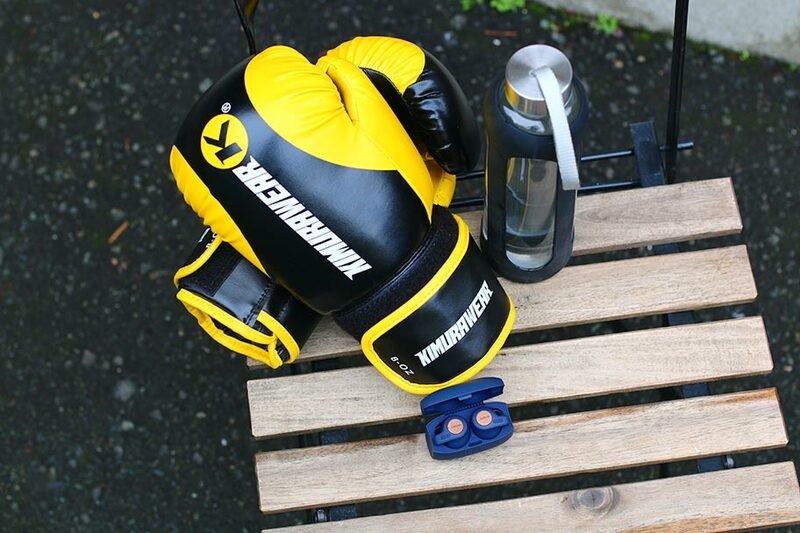 They are at home in both the gym and on a run, and are even water resistant. The charging case for the earbuds is annoying, and the buds themselves don't snap in place. 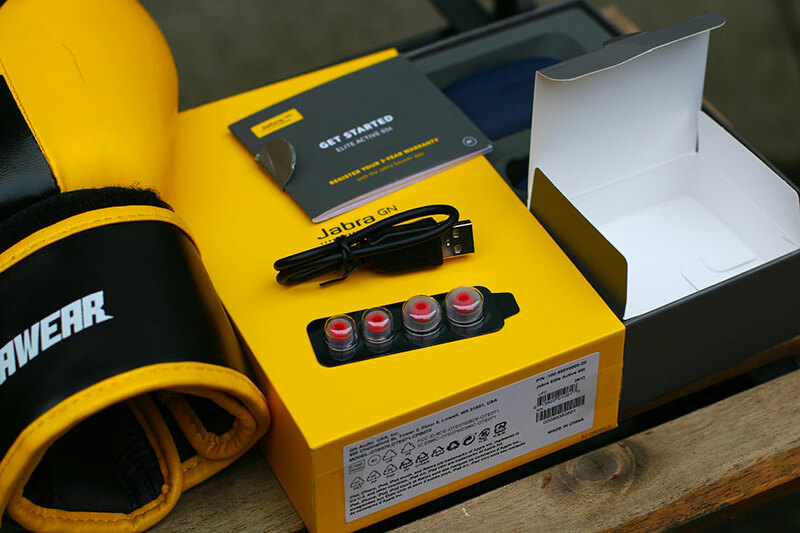 The Jabra Elite Active 65t don't offer more than three tip sizes, which may lead to fit issues. The controls for the earbuds can be a little fiddly and imprecise. Jabra may hold the crown for now, but the Bose Soundsport Free are a very close second. At $199, they are a little more expensive than the $188 Jabras, and their biggest advantage is their sound quality. It's excellent, with stupendous detail for the price, and we think it beats the Jabras easily. However, they do have their downsides. The app isn't nearly as good as Jabra's, and the charging case is bulkier. You also get quite a bit less battery life, at four hours per charge. They don't feel nearly as well-built, and they only offer Bluetooth 4.1, compared to 5.0 for the Jabras. We like them, but the Jabras are better in almost every way if you aren't buying for sound quality. We aren't sure we can say the same for the Apple Airpods. If you own an iPhone, their proximity pairing and integration with Siri make them a good choice. But the one thing they struggle with is performance in the gym, and while running. You'll definitely see plenty of people using them, but they are often loose enough in fit to present a real worry. You really don't want to lose one of these, as the replacement for a single budget is quite expensive. Plus, you'll have to contend with sound quality that isn't nearly as good as the Jabras (particularly in the bass). You do get battery life that extends to nearly 24 hours, up from the Jabras' 15, and they are cheaper, at $159. If you're looking for a good pair of running earbuds, we strongly recommend a traditional wireless pair, like the new Jaybird X4 Sport. This $110 pair of earbuds offers multiple tip sizes, a very decent app, and good battery life. While you do lose the convenience of having no wires, you will thank us when one bud comes loose during your run. In terms of sound quality, we think that both the Jabras and the Bose have them beaten, and they're even beaten out by cheaper models like the $80 1More Triple Driver In-Ears. But Jaybird do make an excellent pair of earbuds, and the X4 are their finest yet. The motion sensor and step counter contained in the Elite Active 65t is fine, but if you want something a little bit more fully featured, you'll need to turn to an earlier model from the company. The Jabra Elite 65t contains a VO2 monitor and heart rate monitor, meaning that they are definitely the superior choice for serious athletes. They also have a higher water resistance. You will sacrifice battery life – the original Elite 65t only offers around 13 hours total, with the additional charges from the case. But we still think that it's a viable option if you want a pair of true wireless earbuds with some additional features. Given how good the Elite Active 65t earbuds are, and how well they've been received, we would be surprised if Jabra did replace them anytime soon. For now, these appear to remain their flagship true wireless earbuds. However, that hasn't stopped them releasing new models since we first wrote this review. 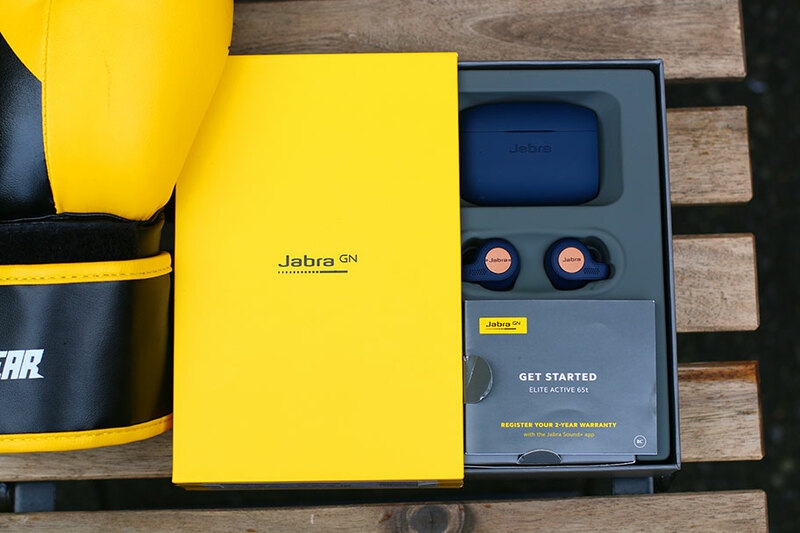 They released a new version of their over-ear Jabra Move Style, which cost a hundred dollars and offers much better battery life than its predecessor. Honestly, we think the 65t earbuds are just better – they are not only more convenient, but offer better sound quality. However, if you do want to experience something from Jabra and you prefer your headphones a little bigger, the Move Style may be worth checking out.